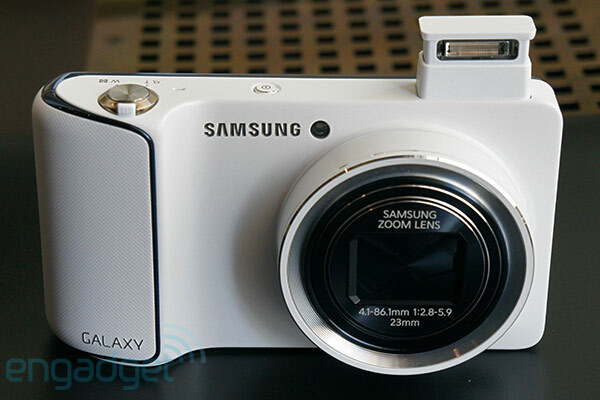 Editorial: Android cameras -- could Samsung's Galaxy gamble save the point-and-shoot industry? WiFi in a camera. No matter the practicality or the cost of adding wireless functionality, it's become a must for high-end point-and-shoots, and if they don't pack it now, they soon will. But access hasn't become as prolific as protocol prophets once preached -- we're at the mercy of pay gates, passwords and bandwidth limitations, even today. Our smartphones, on the other hand, are always connected. There's no need to fuss with hexadecimals or other cryptic keys -- assuming we haven't crossed an international border, getting online is as convenient as taking a breath. 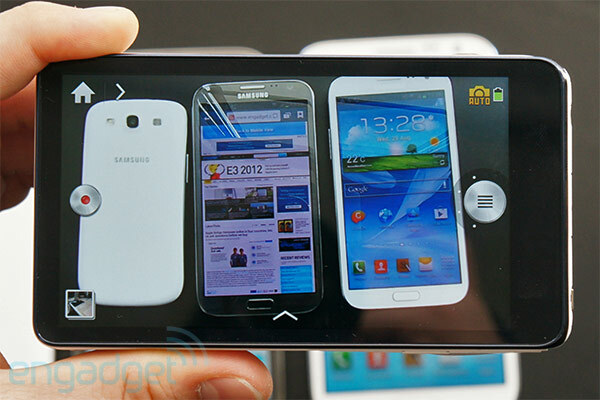 As the world's most prolific smartphone maker, Samsung is very much invested in cellular. Sure, there were gasps from the crowd at last week's Unpacked, but built-in 4G makes perfect sense, and while WiFi and a Micro SIM may make the Galaxy Camera an instant winner, it's Android that completes the package, as the glue that cements this latest category's promise. Samsung may be the pioneer, but should other manufacturers be scrambling to shift roadmaps, ready to embrace this new digital direction? Tap past the break for our take. 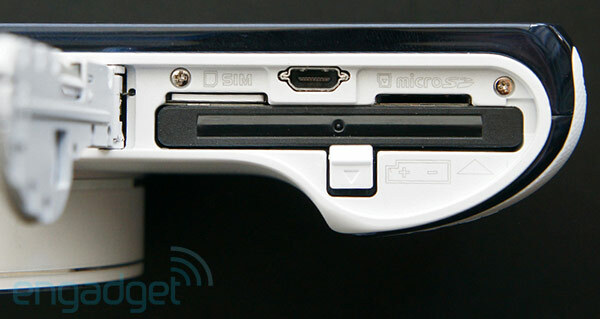 Connectivity doesn't need to stop at WiFi, or even HSPA+. Android opens up the door to hundreds of thousands of apps, many of which are designed to make photos pop, on our own screens and millions more around the world, while also delivering simple access to sharing tools like Android Beam, WiFi Direct and DLNA, along with familiar Bluetooth options. We poked around a few of Samsung's prototypes at IFA in Berlin, and while the camera had no shortage of bugs, one thing was quite clear: Jelly Bean is delicious on any 4.8-inch HD touchscreen, even one mounted to the back of a 16-megapixel superzoom. Android has become omnipresent among our content consumption devices, but it could be a major win for creators in the future, too, bringing access to powerful image and video editing software. On a professional scale, Android could streamline the newsgathering process among journalists in the field, letting them edit and transmit photos and videos immediately, or even create complete blog posts -- directly from a camera -- while Google's OS on mirrorless cameras, like Samsung's NX series, would pair similar tools with higher-end, more versatile optics. Based on its size alone, Samsung clearly isn't targeting the entire gamut of photographers with its first Android model, but it's still far more than a proof of concept -- it'll ship, but it will be expensive, and while it's not likely to fit in your pocket, this camera is but the first in a long line of compacts to come. Shortly after we caught wind of Android "consideration" within Samsung's camera division, a report surfaced that implied a change in course for the Galaxy giant -- the Korean company was ramping up mirrorless camera production at the cost of scaling back point-and-shoots, and the move appeared to represent a general shift away from compacts with a heavier focus on improving optics in smartphones. Now, the cause of those rumblings is quite clear: a touchscreen model that bundles mobile successes with full camera functionality -- it wasn't a smartphone to replace your point-and-shoot, but a powerful hybrid compact that capitalizes on each segment's strengths in an attempt to return cameras to relevancy, and perhaps even bring them into the spotlight. 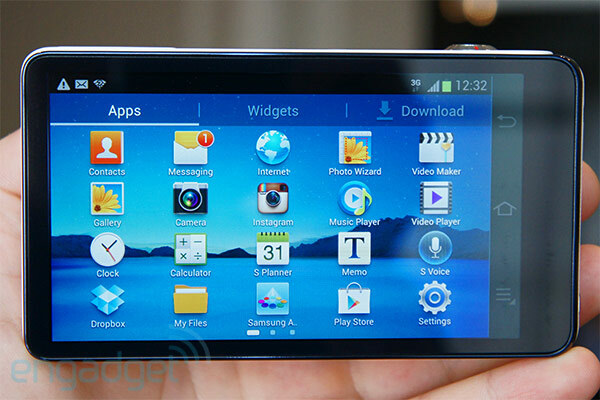 If the Galaxy Camera heads north of the crucial $500 threshold, it will surely flop. Samsung has our attention, but our wallets won't fling open until the camera's official launch this fall, and once they do, there's no telling to what degree. As with all consumer electronics, price will trump functionality when it comes to creating demand, and if the Galaxy Camera heads north of the crucial $500 threshold, it will surely flop. What Samsung, Sony and the rest of this industry need, however, is for this first iteration to be a triumphant success -- there's already plenty of buzz, sure, but if this is the future we want, our bank accounts need to do the talking. Once they do, competitors will follow. Sony's camera app ecosystem, while significant, is far too limited. It represents an open mind and willingness to embrace the inevitable within Japan's darling CE corp, however, and with Samsung and Sony leading, Olympus, Panasonic and perhaps even Canon and Nikon will follow up with their own offerings. Will there be hundreds and thousands of Android-equipped cameras? That remains to be seen. There will be demand for basic, isolated entry-level models for many years to come, especially in developing countries, where AA-powered gadgets are still the norm and surfing the web means a 20-minute trek to an internet cafe, where browsing and social updates are billed by the minute. In Europe, North America and parts of Asia, Galaxy Cameras will be an object of desire, and, for better or worse, Instagram feeds will explode with telephoto shots, proper exposures and sharp details, in massive, occasionally impossible to manage quantities. A meaty spec list means a massive footprint, making accessories like shoulder straps or waist holsters all but mandatory. Heavy, perhaps overwhelming social flows will prevail, but the setbacks won't stop there. As we've seen quite clearly with Samsung's Galaxy, Android cameras need big screens and features that go far beyond current smartphone offerings. A meaty spec list means a massive footprint, making accessories like shoulder straps or waist holsters all but mandatory unless you don't mind walking around with a bulging pocket. Battery life has also yet to be proven, especially with features like automatic cloud backup enabled. Perhaps more significant is the requirement to purchase prepaid SIMs for border crossings -- a process so expensive and convoluted that this limitation seriously diminishes the convenience factor for frequent travelers. And, above all, price is the foremost concern -- with all these bells and whistles, Samsung could justify charging $699 for such a handset camera, but $399 would be far more palatable, if not aggressive. These concerns aside, it's clear that Samsung is committed to this digital photography revolution -- the Galaxy Camera garnered just as much attention as the Note II from show attendees, commanding a serious chunk of the company's sprawling IFA booth. The upper echelon of the point-and-shoot segment will be led by cameras that can connect to the web from anywhere, while doubling as full-fledged communication and manipulation devices -- smartphones that enable everything but telephone calls. Last month, the digital compact was an endangered species. Today, it's dumb cameras that need to listen up -- there's a new Galaxy being formed, and it's suiting up for war.